India Baja is back for its third edition! With temperatures soaring as high as 50 degree Celsius, the India Baja 2018 competitors will drive 550 km plus over the burning sand dunes of the Thar desert. 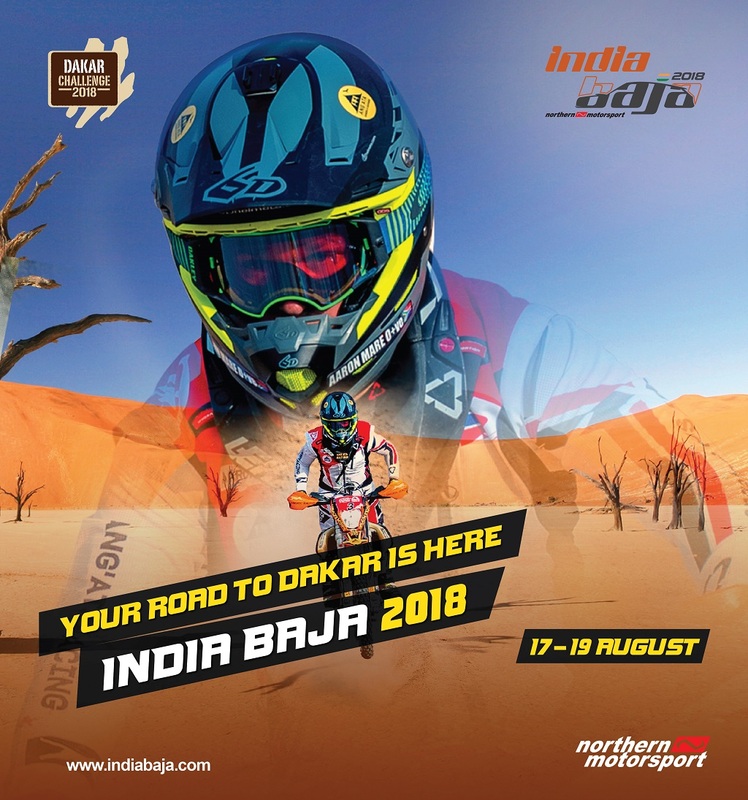 India Baja 2018 is a ‘Dakar Challenge rally’, hence the winner will get twin benefits, a free entry to the famed Dakar Rally of 2020 & the Afriquia Merzouga Rally of 2019. Noida, August 6th 2018: India Baja 2018, the Indian edition of the greatest challenge of all extreme motorsport competitions in the world, is back for another smashing season to be held from 17th August to 19th August in the dunes of Jaisalmer, Rajasthan. In its third consecutive run, the race will comprise of over 400 km of grueling Special Stages and 150+ km of Transport Stages, covering some of the toughest off-road terrains in India. The distinguishing factor about the India Baja 2018 comes from the fact that the top Indian contender at the event will get a direct gratis entry to the pinnacle of all off-road races in the world – the Dakar Rally of 2020! The India Baja 2018 winner will also be entitled to a complimentary entry to the Afriquia Merzouga Rally 2019. The total monetary advantages to the winner of the competition amount to €20,000, which covers the registration fee for one motorcycle in both the events. Moreover, the top-placed contenders of all categories at the event will be awarded a direct entry in the prestigious Maruti Suzuki Desert Storm rally of 2019. Established in 2016, the India Baja is India’s answer to the popular Baja format rallies held across the world. 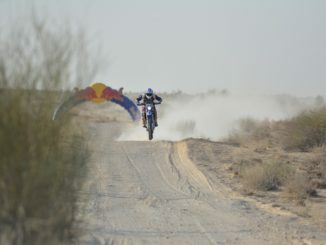 The first edition of India Baja saw massive participation of off-road rally enthusiasts from all across the country. The overwhelming success of the inaugural event inspired the organisers to associate with off-road racing’s biggest name, ‘the Dakar’, making it one of the most exciting developments in the recent history of Indian motorsport. Subsequently, the winner of 2017 event, Abdul Wahid Tanveer, got a direct entry in the Afriquia Merzouga Rally of 2018 and also in the 41st edition of the Dakar Rally to be held in 2019. India Baja 2018 is being organised by Northern Motorsport, the NCR-based premier motorsports club of India, in association with Isuzu Motors and Rajasthan Tourism. Northern Motorsport is credited to organise several other prominent off-road motorsport events like the Rally Desert Storm and the National Autocross championship, amongst others.